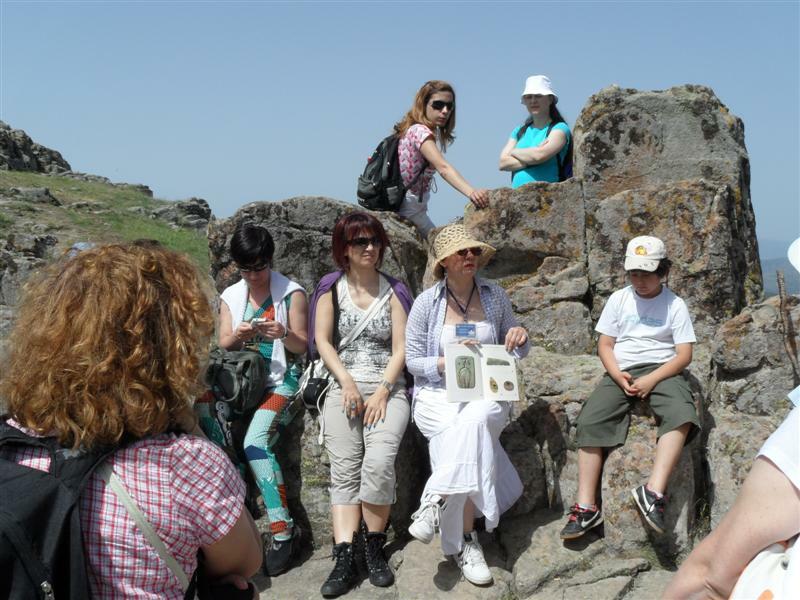 Kokino, an archaeological site from Bronze Age period and a prehistoric archaeo-astronomical observatory gain the attention of scientists and media since the moment it was discovered in 2001. Archaeologically tested and astronomically proved, this advanced community which settled Kokino around 1800 BC, used very complicated mathematical equations for observing the sky and the celestial phenomena. We are very lucky they left marks around the stones and rock in shape of markers while observing the rising of the sun during the summer and winter solstice, spring and fall equinox and many other things in the time when they lived. 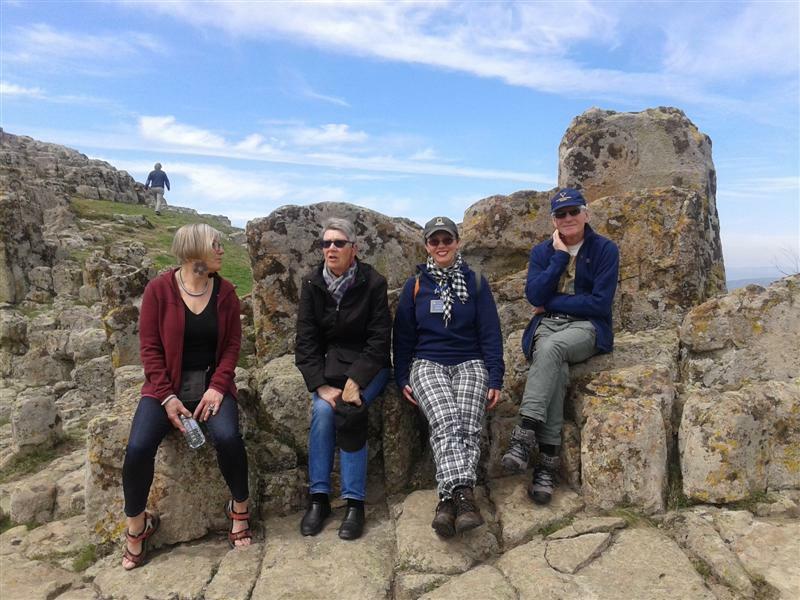 I’ve been to Kokino so many times with friends, colleagues or tourists, I stopped even counting. 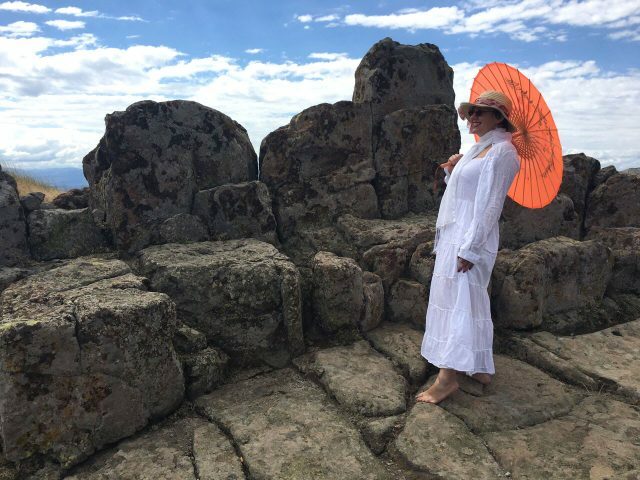 I answered hundreds of times to clients how to rich Kokino alone, so finally I decided it would be for everybody’s benefit if I share my experience how to find the oldest worldwide recognized observatory on the Balkans and the second one after the Stonehenge. 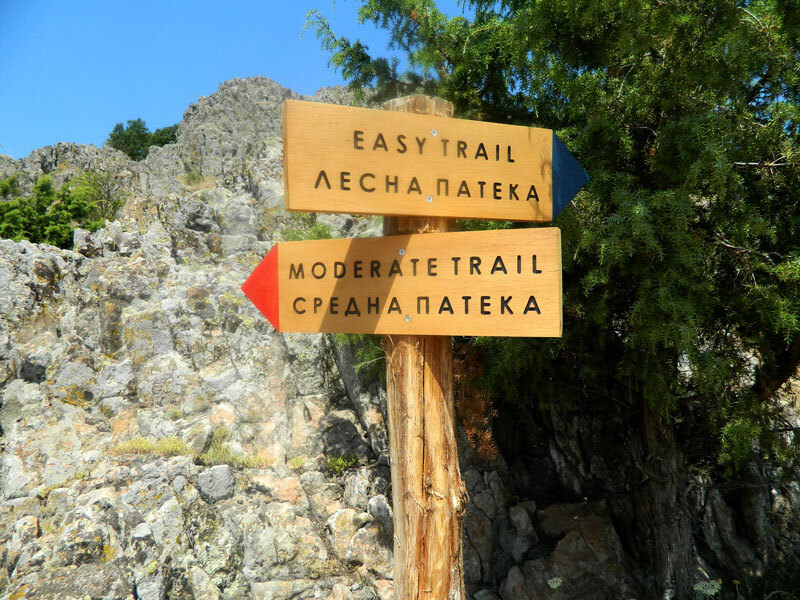 Whether you approach to Kokino from Kumanovo or Kriva Palanka, the moment you see the craters from the small ancient dried volcanoes, you know that you’ve reached the Northeastern part of Macedonia. This natural landscape is very familiar with this region and the fusion of natural and cultural heritage contributed to existing of few extraordinary archaeological sites like Kostoperska Karpa, Kokino, Cocev Kamen and Konjuh. You can go to Kokino by car, bus or even bike. I would gladly recommend following the itinerary gained by the viamichelin.com site, because it is pretty accurate. If you start the trip from Skopje, you will drive with a vehicle approximately around 1,5 hrs to Kokino. The location is not far away, but the regional road is very bad so prepare yourself for a small adventure. 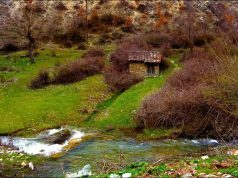 In order to arrive to Kokino, you have to pass by the village of Staro Nagoricino (should stay by your left side) as well as the village of Dragomance and the bridge over the Dragomance river. You won’t miss the starting point of the site, since there is a small meadow and the explanation board. After that, just follow the signalization and for about 10 min walking you will rich the top of the site. The site is under jurisdiction of Museum of Kumanovo and there’s always a security at the location. Just follow the signs while you going around making the photos and videos, but please do not touch the thrones and do not step on the markers, you might destroy the world heritage without knowing. Before you decide to visit Kokino, it would be recommended to read the official web site kokino.mk, or even to download for free the audio guide via Google Play Store. If you are group of tourist larger than 10 ppl, it would be highly recommended to hire professional tourist guide with a special license for Kokino, otherwise the security will not allow the entrance at the site. As far as I know, from the 1st August 2016 the tickets will be charged 1 euro for domestic and 2 euro for foreign visitors. – when the autobahn splits on two roads, take the right one, that one which leads to the Bulgarian border. – when you leave the autobahn and you take regional road, there are few curves. If you see small gas station, turn back, take the right curve and find your way toward the village of Staro Nagoricino. 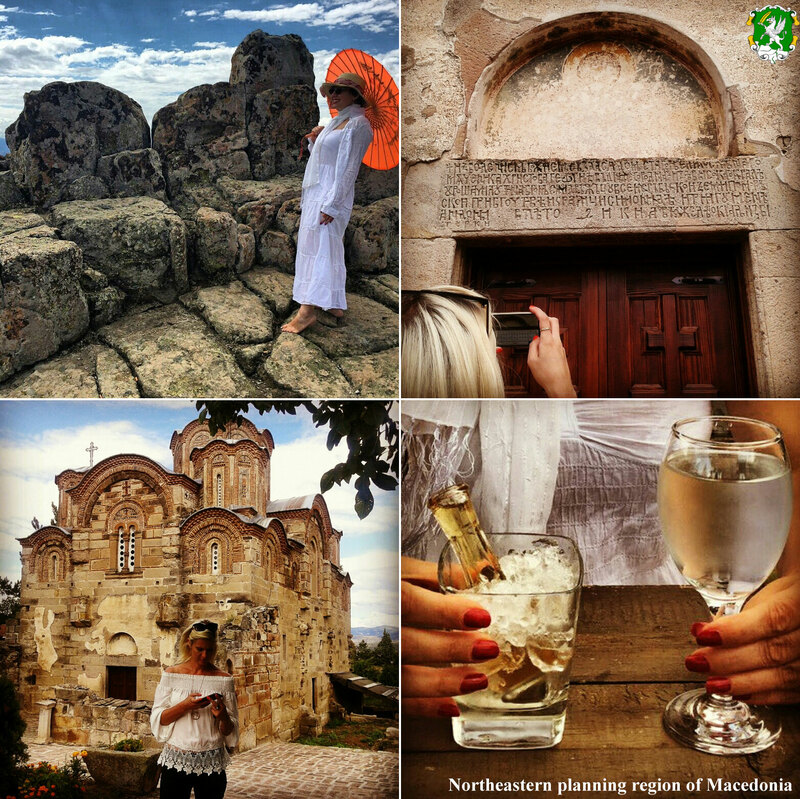 – after the village of Staro Nagoricino, to catch the road to Kokino, in one moment you have to turn to the right. The signalization board might be in the bushes, but if you don’t see the Bonum factory and cross the bridge over the river in next 300m, you have to turn around. Check the weather before travelling to Kokino. It’s not the same whether you’ll go in the summer and winter, or spring and autumn. Choose your clothes, in the summer you can burn since you’ll be at more than 1000 m. asl, and opposite, it can be very cold and windy in autum and winter. Especially choose very wisely your shoes suitable for moderate hiking. 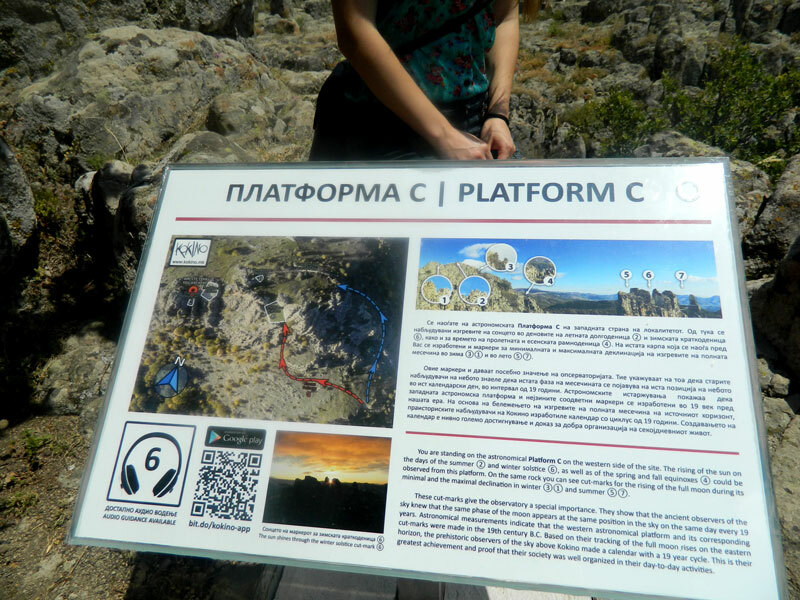 There so much things to see around Kokino. Depending on your time you can just visit and enjoy the site itself, but on your way back, just along the road on the right side don’t miss the “Holly Oaks”, small resting area with benches used by locals as picnic place and considered as sacred for many centuries. If you have a little bit more time, going toward the autobahn stop at the village of Staro Nagoricane. 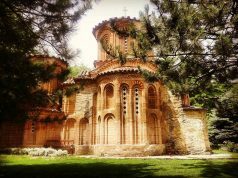 You will be spellbound by the picturesque and original Byzantine church dedicated to the St. George, commissioned by Serbian king Milutin and erected in 1313 above the older remains. 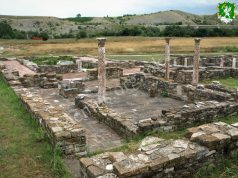 Next-door to the church is the monk cell of Prohor Pchinjski, a monk from 11 century which lived in this area and one of the 4 originally rooted Orthodox saints from the territory of the Republic of Macedonia. There are too many ethno restaurants around, but you’ll have to get back on the autobahn and search the most suitable for you. You might check some of them on the web of fb pages, but you’ll never be wrong if you choose the Etno village restaurant, Vizijana or Park Ginovce. You might try some local food such as the kumanovo’s “Mezal’k”, “sudzuk” a kind of thick dried sausage, yellow cheese, pastrmajlija from Kratovo or Kriva Palanka, “tavce gravce” – local beans with or without dried meat, Macedonian salad etc. The food is excellent and very cheap and the hospitality is very warm, just like elsewhere in Macedonia.